There is nothing that damages a rug faster than footfall. 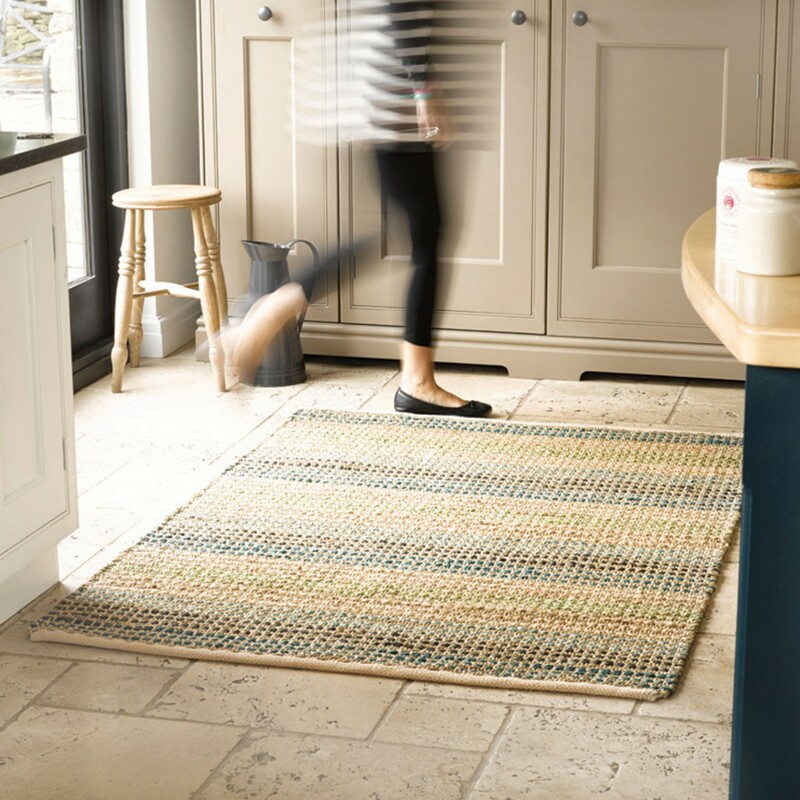 Hard wearing, durable rugs are tough and can withstand plenty of traffic, but delicate fibres and weaves won’t fare as well. 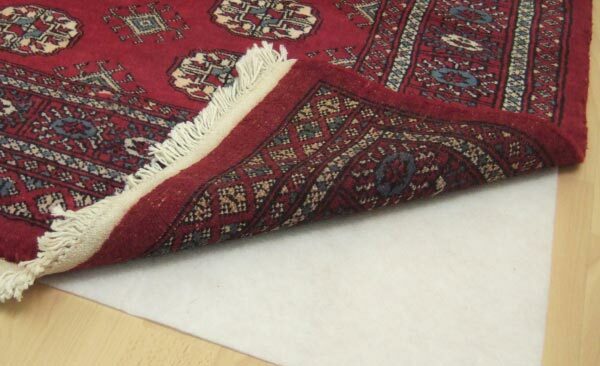 To protect delicate rugs, don’t place them in high-traffic areas such as kitchens or hallways. Place the rugs in low traffic areas such as a bedroom or occasional room. For an art deco addition, you can also hang the rugs on the wall instead of placing them on the floor to add a twist on the ordinary. When it comes to hard wearing rugs, protect them from traffic by removing outdoor shoes when entering the house. Be sure to ask guests to do the same when entering or visiting your home. Footfall in bare feet or socks is generally easier on your rug than with shoes. Removing shoes not only protects the rug, it also prevents the rug from getting unnecessary outdoor dirt on it. To get rid of dirt, stains and dust mites you need to clean the rug regularly. To clean the rug properly you need to do a number of things. 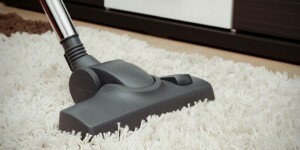 One of the first things that you should do is vacuum your rug regularly. Vacuuming is an important step as it aids in removing loose dirt from the rug, and makes the cleaning process easier in the long run. We recommend using the nozzle attachment of a hoover rather than abrasive, rotary brushes that can damage the fibres. When using cleaning products, you need to be careful with which ones you use. As a general rule of thumb, go for products that will remove dust, stains, and bacteria. 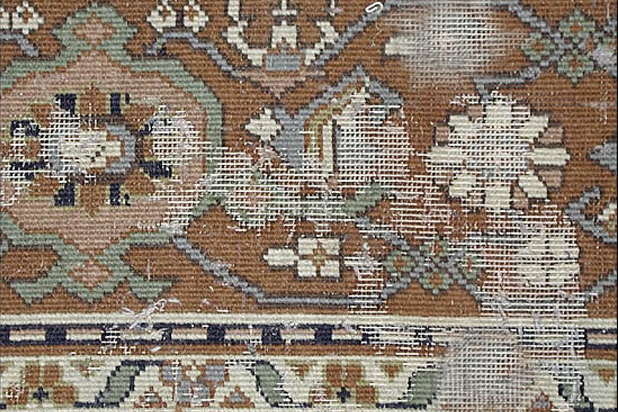 For exact results, go for products that are designed specifically for your rug material. If you aren’t sure of whether the product will damage the rug, do a patch test on the corner of the rug where any effects won’t create noticeable damage. Cleaning products can be expensive, so if you’re a bit strapped for cash and have many rugs to clean, try using warm water with mild liquid soap to see if that does the trick. While you can clean rugs at home, take them to a professional rug cleaner occasionally for a thorough cleaning and for those more stubborn stains. A professional rug cleaner can clean your rug if it’s excessively dirty. You’ll want to find a quality cleaner in your area. 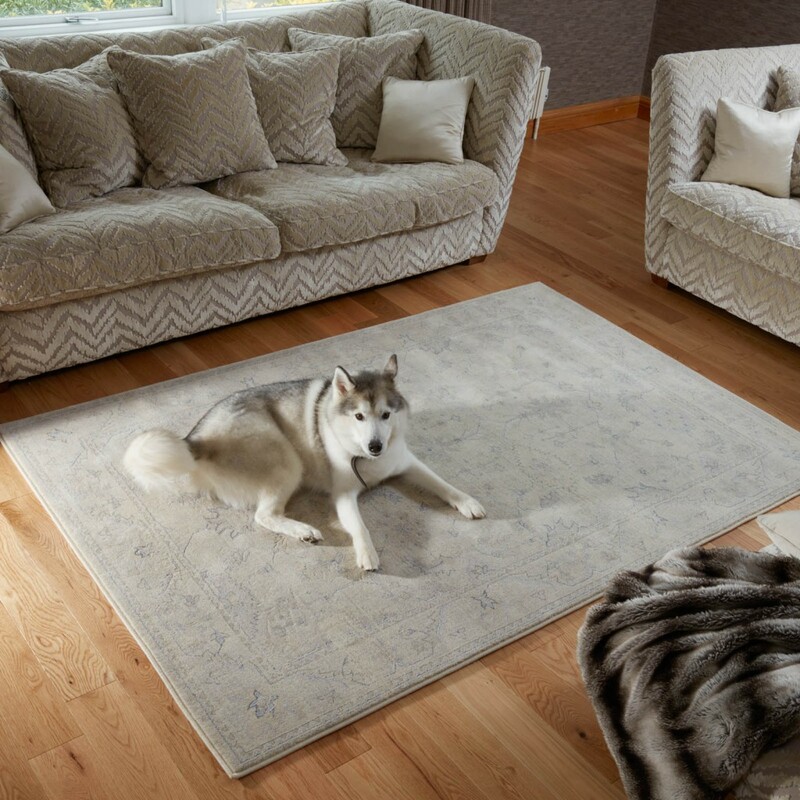 Before dropping the rug off, inspect the rug and make note of any issues and help instruct the cleaners so you ensure you get the result you want out of the service. When it comes to cleaning a rug, it’s always good to take it to a professional every once in a while. In addition to cleaning the rug professionally, they will also fix any problems that the rug might be having with simple rug repair techniques, which just prolongs your rug’s lifespan even further! Shaggy rugs typically have a long, high pile, which is great fun to lie on, but a little uneasy to clean. Take a look at how to clean a shaggy rug cheaply at home with great care. However, make sure to check your rug care tags first to see if our instructions comply. The first thing to do is to take your shaggy rug outside and shake off any loose dirt and dust. This is important as it is already an easy step into removing some unwanted treasures instantly. Try vacuuming your rug carefully and use an upholstery attachment to gently vacuum between the rows of thread on your rug. Other methods could include using a dry rug shampoo, which generally comes in powder form. All you have to do is sprinkle this on, and follow the shampoo instructions. This should involve working the shampoo into the rug, waiting an hour or so, and gently vacuuming up the granules. 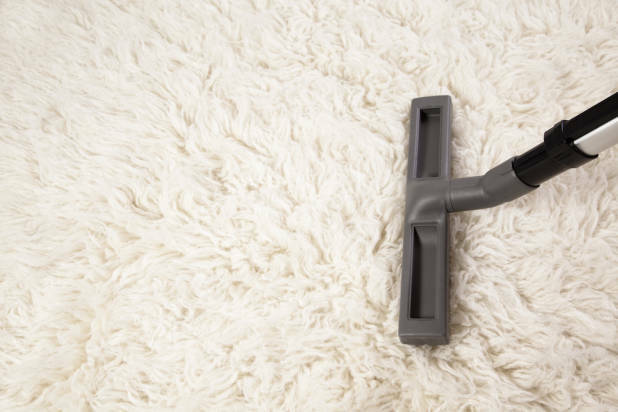 To learn how to thoroughly clean your shaggy rug, click here. 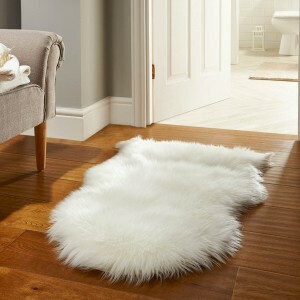 Sheepskin rugs can last a very long time if properly cared for. Always take the time to read the instructions that come with your sheepskin rug. Most of the time, and for general weekly up keep, you can remove dust and loose particles easily by using a wire brush to rake up the wool pile a bit. Or they can be taken to be professionally cleaned or to the dry cleaners. Though, this this can be quite expensive. Depending on the size of your sheepskin rug , they can be machine washed. If you do machine wash make sure you use the Cool Wool setting and use a non-enzyme shampoo. The sheepskin shampoo should be specially manufactured for use with sheepskin products. Regular vacuuming is an integral part of maintaining your natural fibre rug because it removes any loose dirt and debris, and without this step, regular foot traffic will grind the dirt into the fibres and make its removal much more time-consuming. To remove stains that linger even after you vacuum requires a gentle cleaning solution and some patience. First, to make the cleaning solution, combine one teaspoon of detergent with one teaspoon of white vinegar. Then add 2 quarts of lukewarm water, and you’re ready to begin. To clean the area, simply blot the stain with a rag that has been dampened with the cleaning solution. You may have to repeat this step until the stain is completely lifted. After that, roll the rug up in a dry towel. This will absorb much of the excess moisture from the rug and prevent future damage. You may have to repeat this step until it is completely dry. 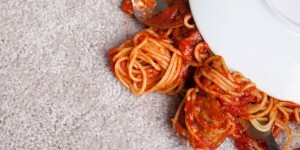 Your rug may be subjected to a variety of spills and stains during its lifetime. Time is of the essence when spillages occur. Remember to blot – never rub — the spill and remove moisture as quickly as possible. For the rug to have a clean look, ensure that you remove all stains as soon as possible. 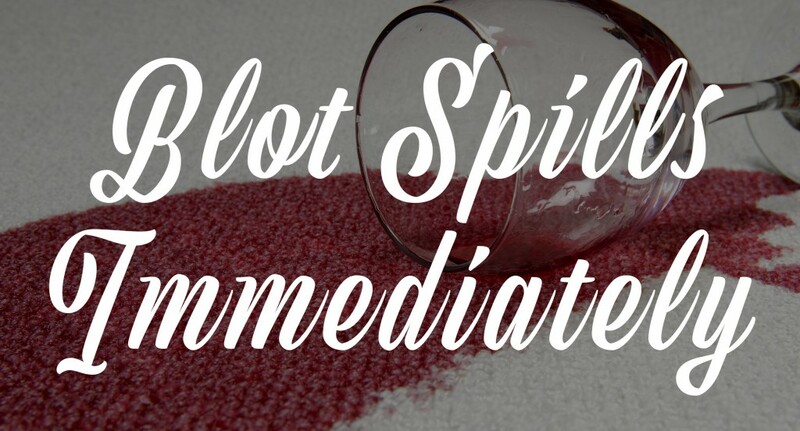 There are various products to use for different spills and stains, so ensure you’re using the right solution to ensure the best result. Blood: Apply cold water or club soda, and then blot with a clean cloth. Repeat until the stain is gone. 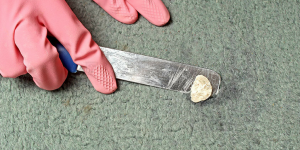 Chewing Gum: Peel off what you can, then put ice cubes in a plastic bag and harden the gum, scraping the gum off with a spoon or dull knife. Vacuum and use a dry-solvent spot cleaner if needed. Coffee or tea: Using the same detergent mix as with alcohol and soft drinks, apply to stain, rinse, and blot. 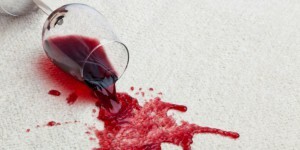 If a stain remains, use a commercial spot rug cleaner. 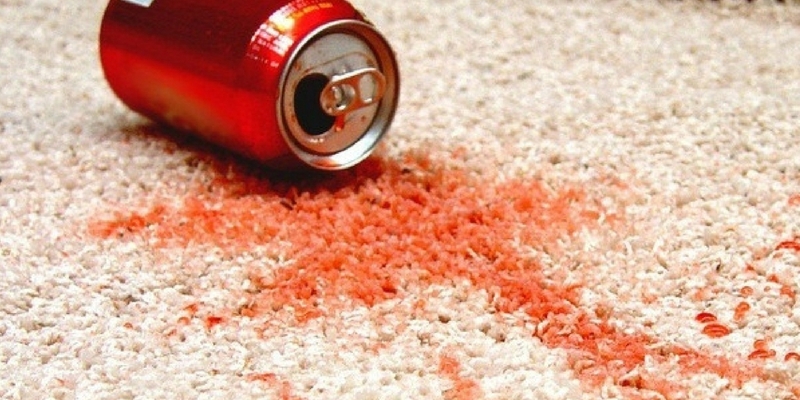 Fat-based stains: For foods such as butter, margarine, or gravy, use a dry-solvent spot rug cleaner. Paint: For acrylic and latex paint, while the stain is still wet, spot-clean with the detergent solution. If colour remains, dab with rubbing alcohol. For oil-based paint, sponge with odourless mineral spirits, being careful not to soak through to the backing. Urine, faeces, and vomit: Apply detergent solution or a citrus-oxygen cleaner, rinse, and blot until dry. Wine or juice: Spritz with club soda. Blot with a clean cloth. Repeat until the stain is gone. If you have tried removing a given stain without success, ask a professional to take a look at it. For more information, click here for additional rug maintenance advice. It is important to rotate your rug to avoid continually walking over the same area. Rotating your rug spreads out the natural wear and tear and will ensure your rug stays gorgeous for longer. The position of your furniture will create areas that are more or less walked on than others. So if your room is big enough, try to move things around occasionally. It’ll make you see your room in a whole new light too! Shifting stair rugs can really help them from time to time as they can get a lot of wear. If your rug runs right up to an external door, use a mat to catch dirt and grit as people come in. Always take off shoes with grips, like trainers, as they can tear the pile and never walk on your rug wearing heels, specifically stilettos, as they can pierce holes in the rug. When you purchase a new rug, you should be conscious of how light from your windows will affect the rug. Be particularly careful about skylights and if you’re placing it in a conservatory. If you’re not home during the day, you may not see a full day’s effect to observe how the light falls throughout the day, so try and take some time to assess. Having window covers such as curtains or blinds which will block most of the harmful rays would be best suited. Once the rug becomes faded unevenly, it is virtually impossible to even out the colour. Colour variation may occur between covered and exposed areas of flooring over time. Sun damage causes fading, premature aging, and can cause the rug to become lighter or discoloured in certain areas. If you cannot avoid this, rotate your rug at least twice a month. This will not stop the fading process but will instead create more even, unvarying colours as it fades. A well placed rug underlay protects both the rug itself and the floor underneath it. 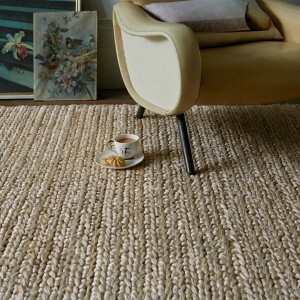 A light, thin rug underlay is recommended for all rugs. It’s cushioned, making it soft on your feet, and it will protect your interiors from any damage. The thin profile provides enough grip and cushion to provide comfort and protection without raising the rug up too high and reduces movement from slippage. A high quality, anti-slip underlay will prevent sliding and creasing of the rug and reduce the risk of trip hazards. For more information on how to stop your rugs from slipping, click here. A bit of greenery and plant life can bring variety to a room, often creating a completely different feel. However, placement is everything. If you place a potted plant on your rug, you are asking for trouble as water and even mud can seep through. As the bottom of plant pots are out of sight, the water seep can go unnoticed. Having the continual wet/dry cycle makes the wet patch rot and, eventually, separate from the rug creating a hole. It is virtually impossible to ensure that moisture will not make its way to the rug. This is an extremely expensive repair. 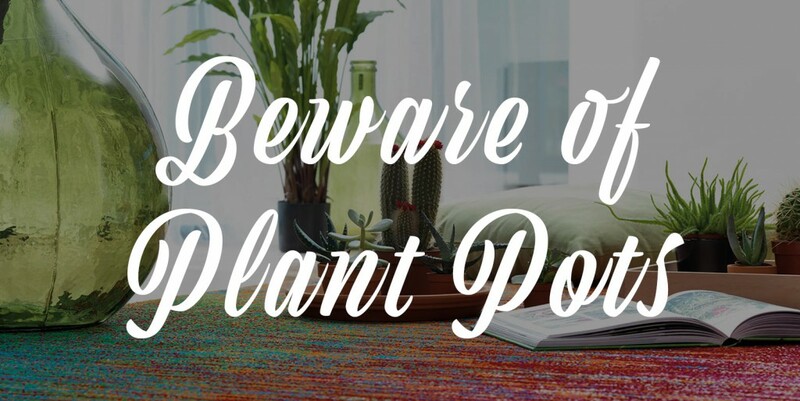 If you value your rug, never put a potted plant on it. We love our cats and dogs, but they don’t always feel the same way about our floors. Whether it’s tearing up our rugs or scratching wooden floors; pets can be destructive and expensive. The reasons dogs and cats attack our flooring varies a lot. Dogs attack rugs for reasons such as excess energy, anxiety and fear, physical illness and other stress related illnesses. Cats on the other hand are more likely to attack your home due to more ‘practical’ reasons. These can include marking territory, stretching their bodies and flexing their claws as well as other less common causes such as stress. Most of the damage we see to rugs comes from puppies and young dogs. There is very short time in which to address urine on a rug before it turns to a permanent stain. Also, we have seen many rugs damaged by chewing on the corners and the fringe. If you get a new rug when you have a puppy, store the rug away from the dog’s reach until it is old enough to be housetrained and out of the teething stage. Read our tips to help prevent your dog or cat from staining your rug — and to help in cleaning rug pet stains if they do happen here. A rug can be an investment, and you can improve the lifespan of your rug significantly by caring for it carefully and appropriately to get the most from your money. 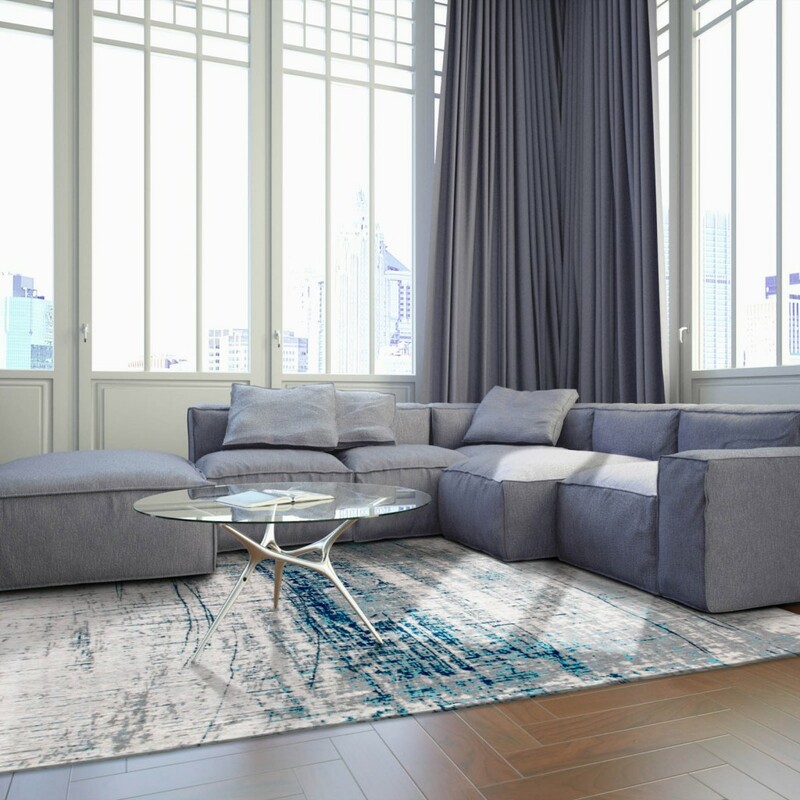 Make sure to follow these simple steps to ensure your rug remains a trusty element of your home décor for years to come! Which rug would you recommend for a kitchen, high traffic area between aga and sink ! Hi John, here’s a link to our kitchen rugs. 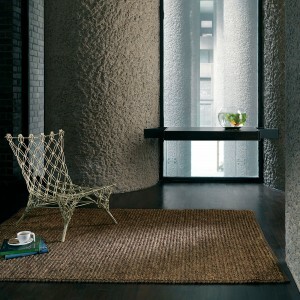 I would suggest either sisal or Brighton, both are hard wearing making them ideal for high-traffic areas in your home. Hope this helps! I don’t know why but for me rug is always essential in every part of the house. Thanks for sharing this. Hi George, yes we agree! 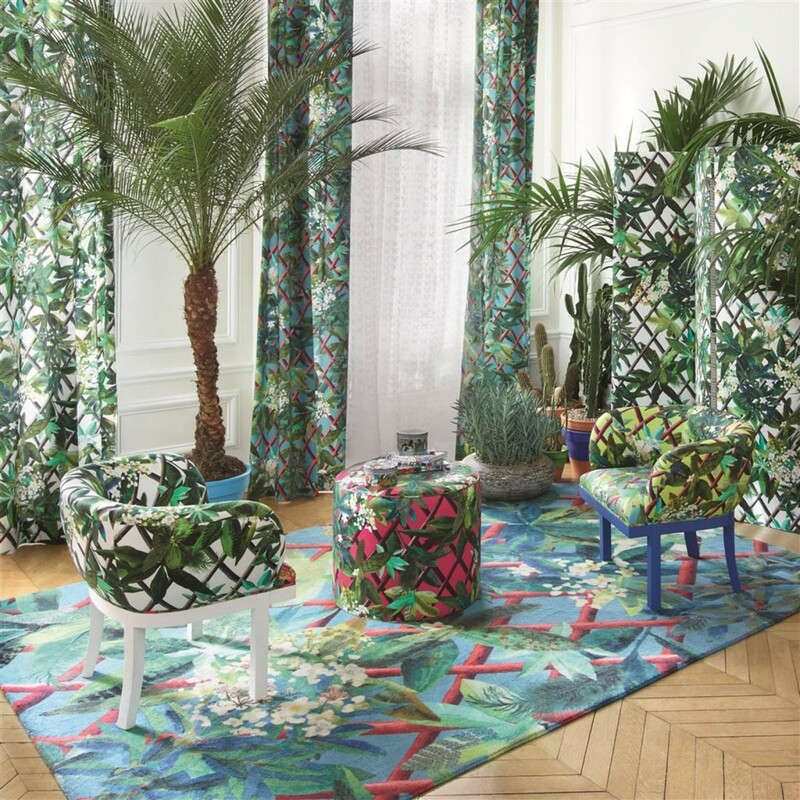 It is said that when creating a room it is best to arrange the room around the rug.